I wish more gaming companies would "cross-over" and "share" their characters as nothing is more fun than pitting your favourites against each other which is generally the stuff of comicbook legends. 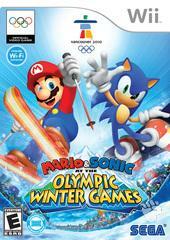 Obviously something happened again, whether it was the planets aligning or some gaming god granting wishes because once again Mario & Sonic have reunited for another thrilling sports game called Mario & Sonics at the Olympic Winter Games. 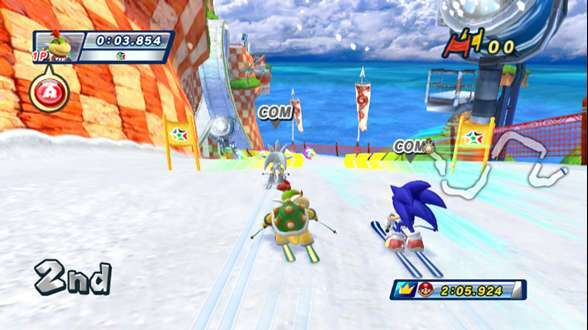 Sporting the innovative controls of the Wii, Mario & Sonics at the Olympic Winter Games is similar to Wii Sports and Wii Resort that has the gamer and their friends competing in a variety of winter based sporting events with 27 to be exact. 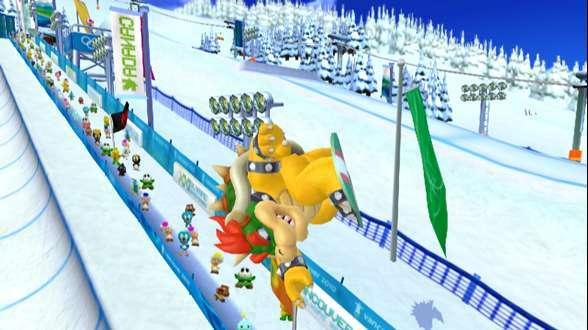 The game contains a plethora of other characters such as Luigi, Tales, Yoshi and Knuckles to name a few of these gaming greats as they try to outdo each other in events such as skiing and the Luge. Although you can play short games as either solo or with other people, a twist to the series is the introduction of the Festival Mode which gives the gamer the choice of competing a full campaign or in another words, the entire Olympic games. As with Wii Sports and Wii Resorts, generally most sports games on this console, some of the games work quite well, whereas a few are a little so-so. The control system of the Wii does however work on most occasions as you slide on ice, jump in the air or bobsleigh at tremendous speeds, it's actually quite fun. 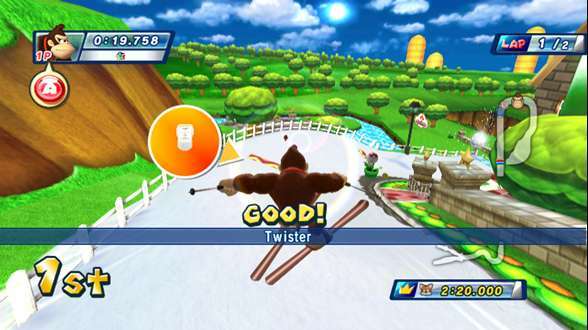 Although some events require speed with the controllers, others rely more on timing such as skating or skiing. Needless to say, the controls work well, except the ones where you are forced to jiggle like crazy. Some of the more skilled activities such as snowboarding do require the player to perform tricks which is a little frustrating at first, however with a group of friends, there's plenty of good times to had. Thankfully the game teaches you how to use the controllers for each sporting activity that you play. The game also supports the Balance Board for some activities such as skiing and is quite fun and is definitely a mini workout. The accuracy of the game is somewhere between Wii Sports and Wii Resorts which depending on how you're holding the controller, it can impact on the gameplay. Apart from standard events such as ice hockey or figure skating, there are "Dream Events" that truly turn the volume up on bizarreness. The Dream Events pay homage to the various universes of Mario and Sonic as you compete in a variety of events, collecting boxes and powerups which is very reminiscent of Mario Karts. Although if you have time, you cannot beat the Festival Mode that plays through the entire Winter Olympic games from opening ceremony to even the closing ceremony with all your favourite SEGA and Nintendo faces. There's even a ton of unlockable content to aim for such as ghosts, trivia and even remixes of classic Mario and Sonic music. This is done through the reward system of coins. 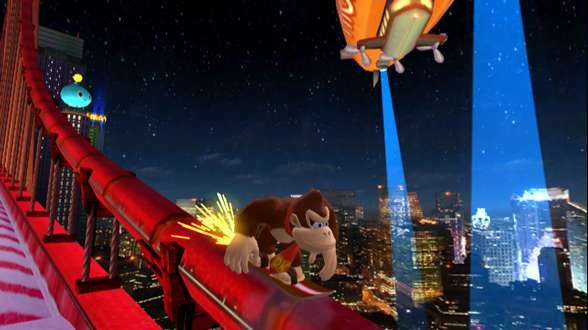 Graphically, the game is visually quite impressive on the Nintendo Wii that flawlessly recreates the characters in the game from Mario to Sonic and even Donkey Kong. The game is quite colourful and cartoony at the same that is oozing with references to both great companies. Of course, with the music from both universes gracing this game and a wide gamut of sound effects and it's easy to get lost in this well made game from start to finish. In conclusion, SEGA have created a fun sports game that works well as a single-player game and even as a party game. With a plethora of SEGA and Nintendo references, this game will definitely bring a smile to your face as you compete in a variety of winter sporting events. It's classy, it's fun and best of all, your favourite console characters are ready to challenge everyone in their way and if you don't take it too seriously, you'll have even a better time.